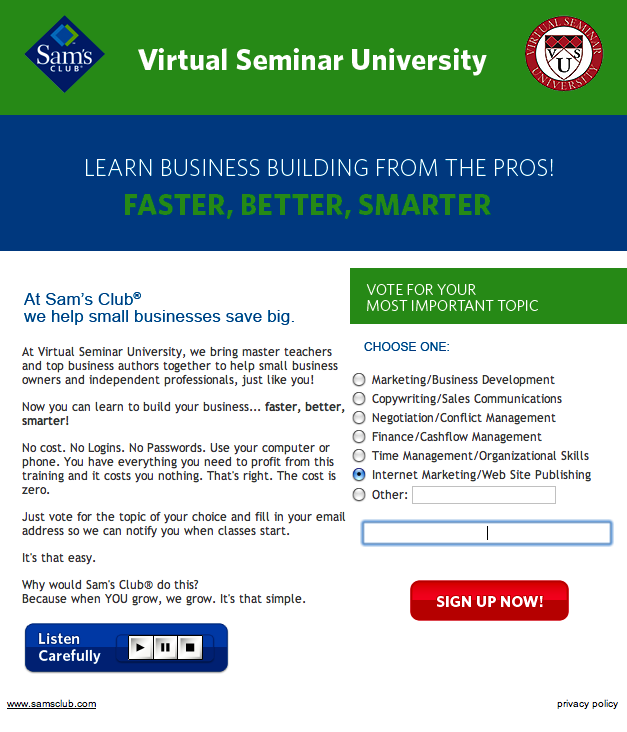 Sam’s Club is launching a new service for small businesses called Virtual Seminar University. 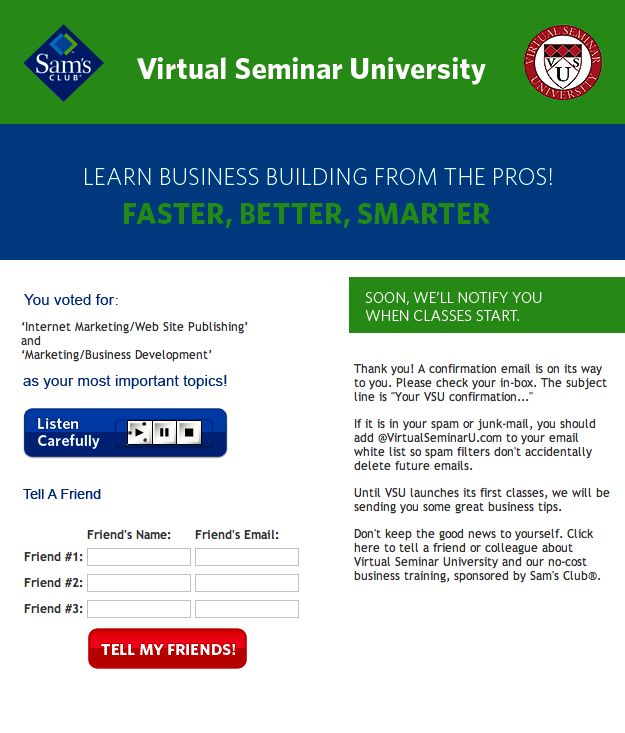 At Virtual Seminar University, we bring master teachers and top business authors together to help small business owners and independent professionals, just like you! 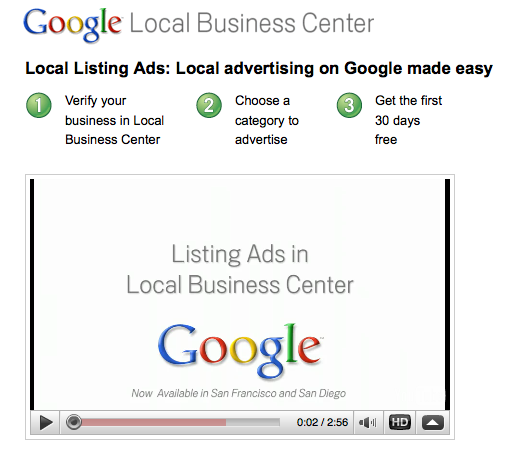 Now you can learn to build your business… faster, better, smarter! No cost. No Logins. No Passwords. Use your computer or phone. You have everything you need to profit from this training and it costs you nothing. That’s right. The cost is zero. 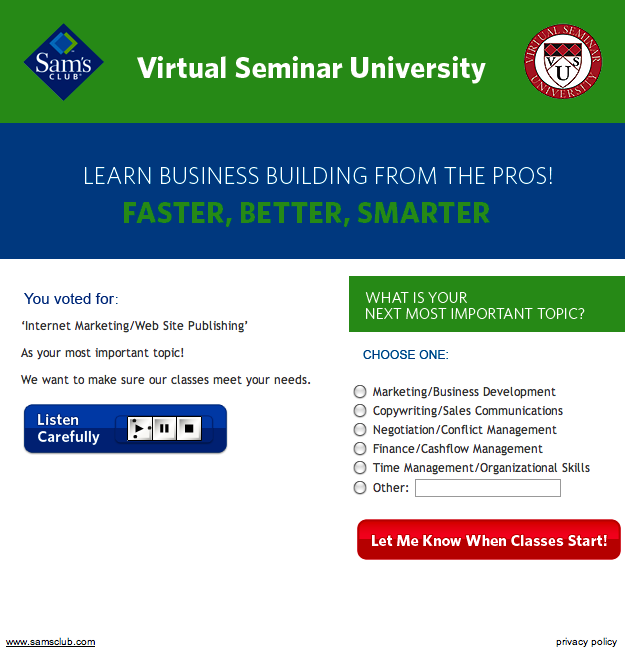 From the list of six advice categories, visitors to Virtual Seminar University are initially asked to choose the business subject they are most interested in. Visitors are then asked to choose another subject they are interested in learning more about. Sam’s Club then asks for names and email addresses of friends who may be interested in their new Virtual Seminar University. 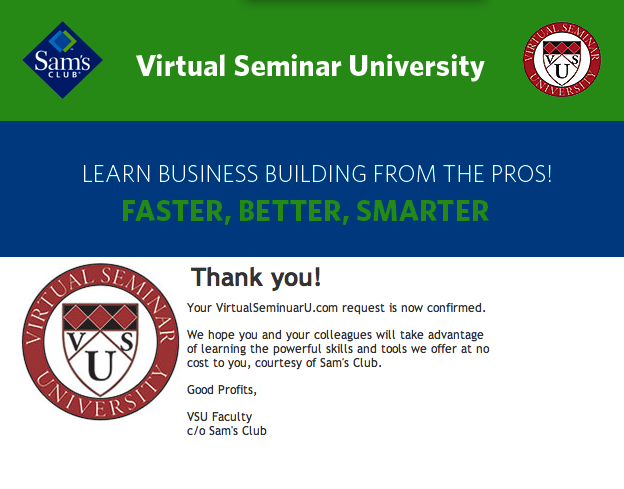 Visitors then submit their preferences and receive a confirmation email from Virtual Seminar University. 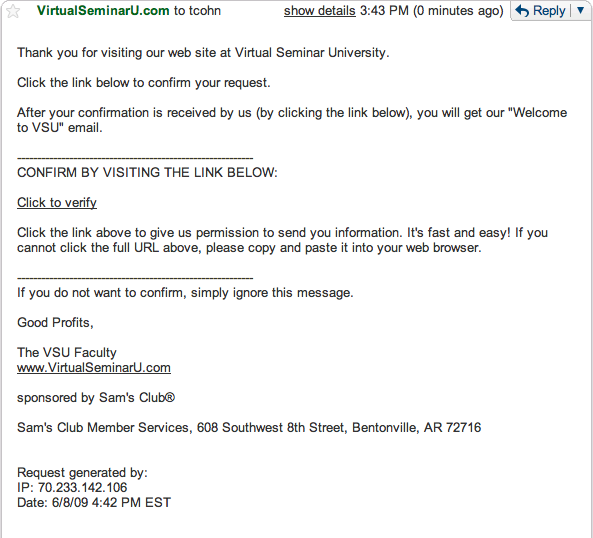 Sam’s Club isn’t clear about when their Virtual Seminar University will officially launch their services.